New year – new partner: Welcome Phaenomena! We are delighted to welcome our new partner Phenomena from Italy. The company based in Montesano is specialiced in supporting customers throughout the product creation path from the early stages of design to the finished specimen. New partner highlight: Vandal resistant public lighting solution for the City of Cape Town. Our network partner Eagle Lighting (Pty) Ltd, a leading project lighting solutions provider in South Africa, approached Pro Visual Technologies (Pty) Ltd (Pro Visual) to develop a custom, vandal resistant, lighting solution for the City of Cape Town's Integrated Rapid Transport system. See for yourself how the idea become reality! Our LED Light for you partner Elektra was commissioned to develop a train headlight, to be used as a replacement module for existing trains. 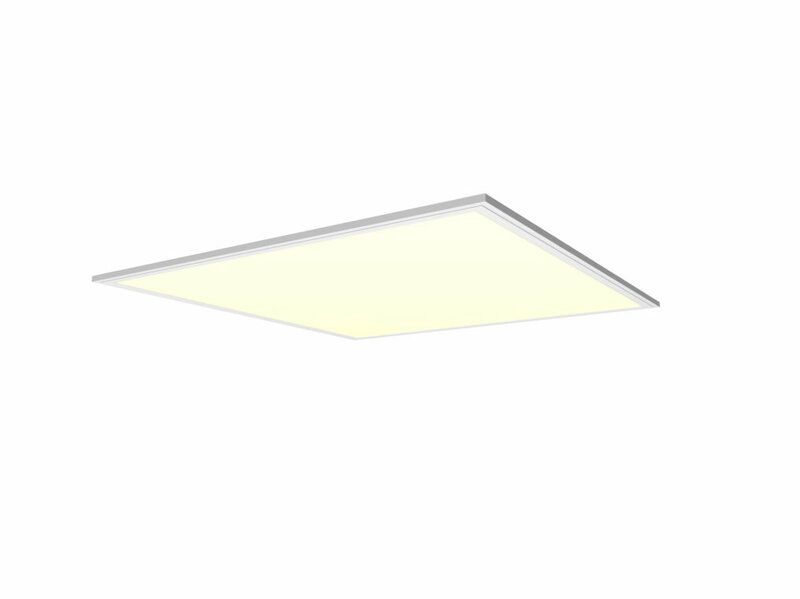 As an LLFY partner, Elektra used the OSRAM OSLON® Square LED in combination with a Khatod lens. Let yourself be inspired! Our LED Light for you partner Pro Visual made this happen. 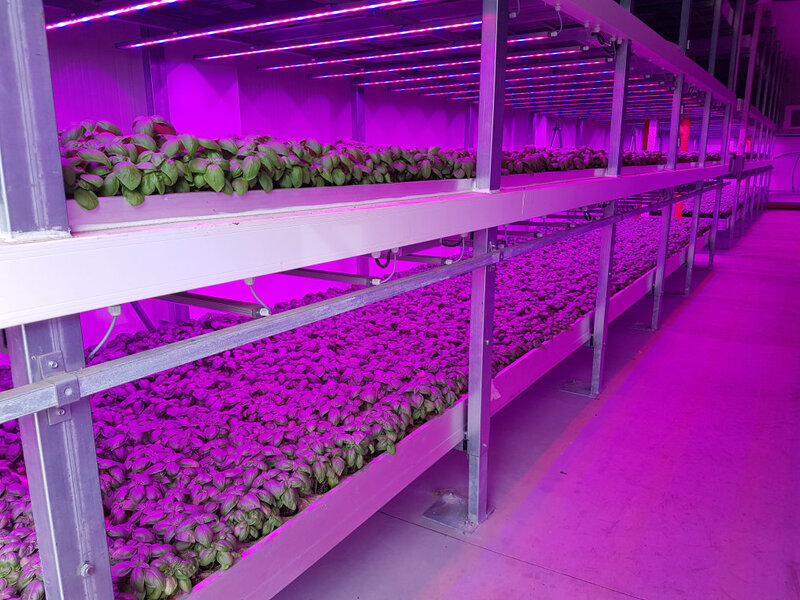 For Vertical Farming Ltd. they developed a custom horticultural luminaire for their Shipping Container Hydroponic Farms known as "GROCUBE". Pro Visual helped to realize their idea into a real and market ready solution. 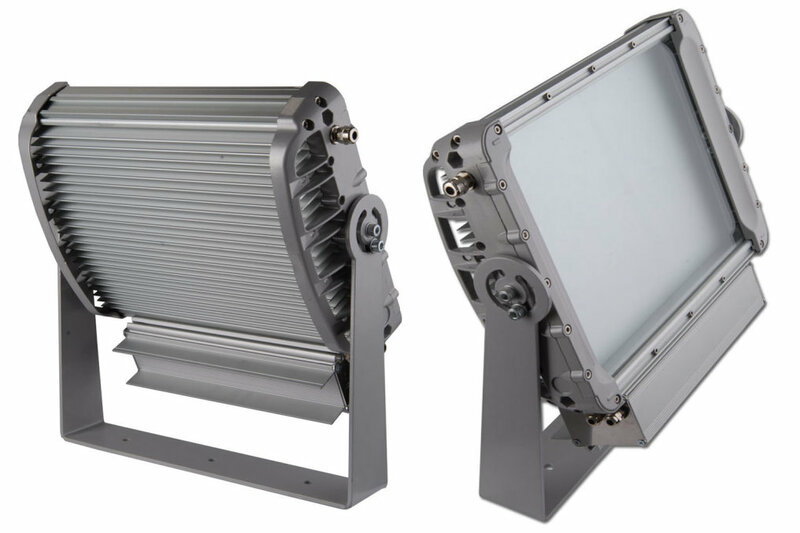 The ILK-MINIFLOOD-xxxx range from Intelligent LED Solutions (ILS) are development kits designed for MiniFlood arrays. The IR MiniFlood kit contains everything you need to get your IR lighting design up and running. Also available are colour LED MiniFloods. 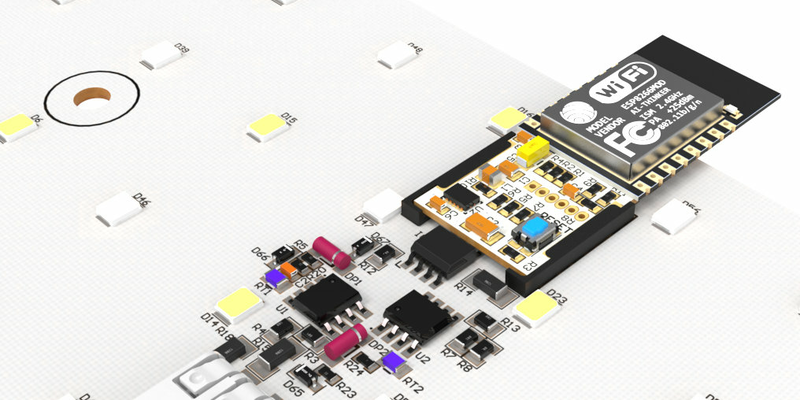 A power supply from ILS for use in the development of Tuneable White and RGB/RGBW LED products. The PSU can also be used with any system that requires up to 4 channels of controllable LED drive. Order now! 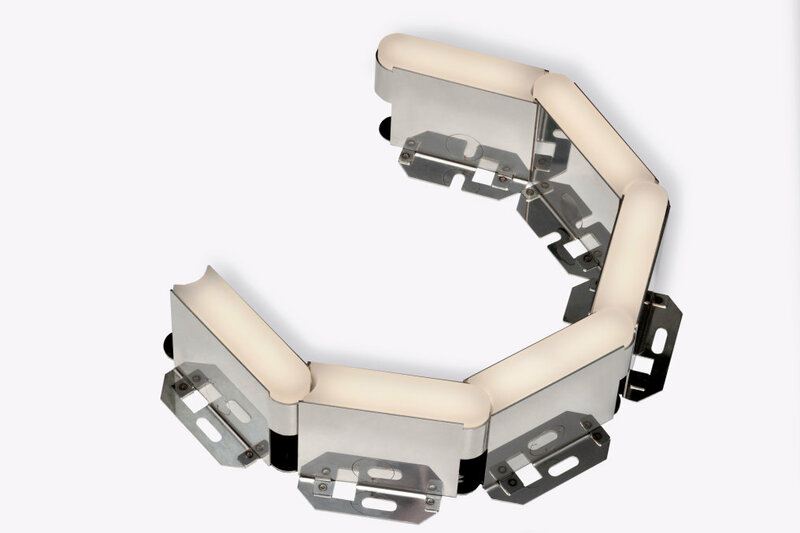 The High Bay kits from ILS are designed to help you develop a high bay light fixture. High bays are ideal for warehouses and industrial building lighting. Available in 4 or 12 LED configurations, the kits contain all the necessary components you need, including a selection of High Bay lenses from LEDiL. The ILS OSLONeye mini-spotlight kit enables users to add any OSLON single star LED together with a suitable LEDiL Tina lens. The kit includes all metalwork housing, TIM (Thermal Interface Material), and integrated Heatsinking. Order now! 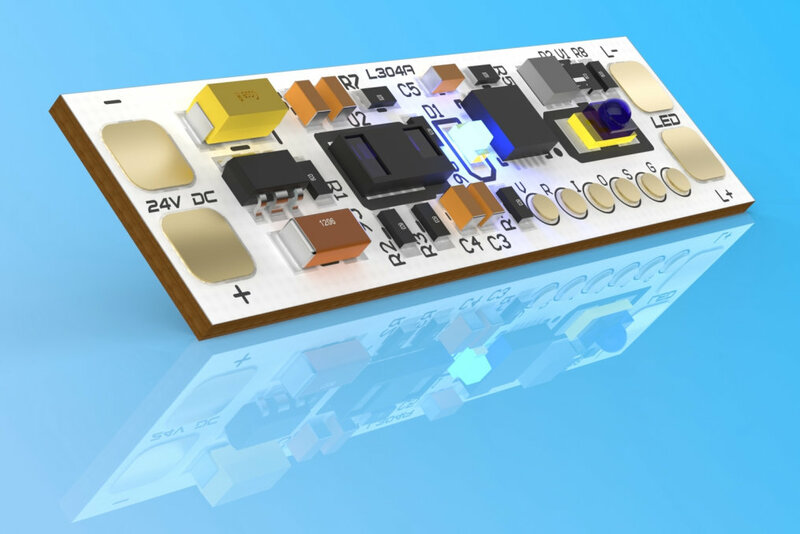 The LED Light for you partners OSRAM Opto Semiconductors, CEZOS, Mechatronix and LEDiL have created a modular Developer Kit which will help designers to accelerate the development and testing process. Explore now! 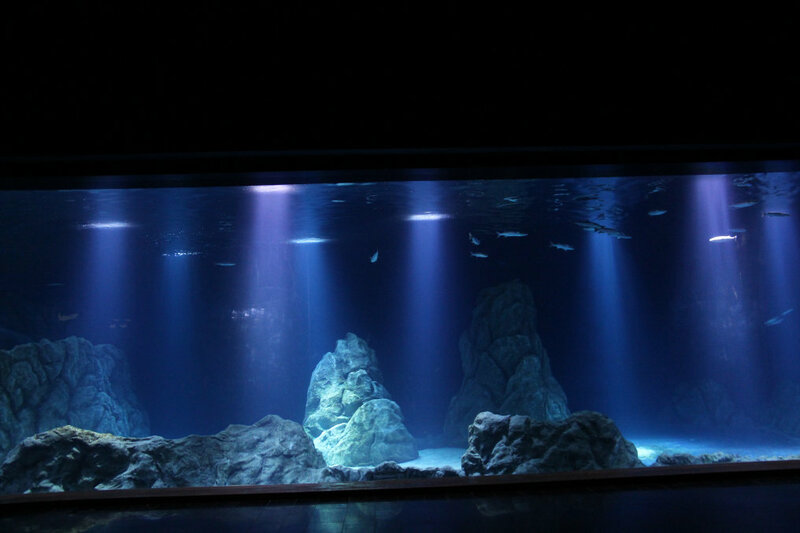 In collaboration with our LLFY partners Lightwheel and Ledil the Israeli company Orsenso created a light concept for the local aquarium to give a preferably natural and species-specific light atmosphere for the animals. Therefore Orsensos Merlin series has been optimized with products of our partners. Innovativo commands years of experience in thermal management, controllers, sensors, ASIC drivers, optics and solid-state lighting. The malaysian company offers a wide range of solutions from ideas to design and turn-key assemblies. 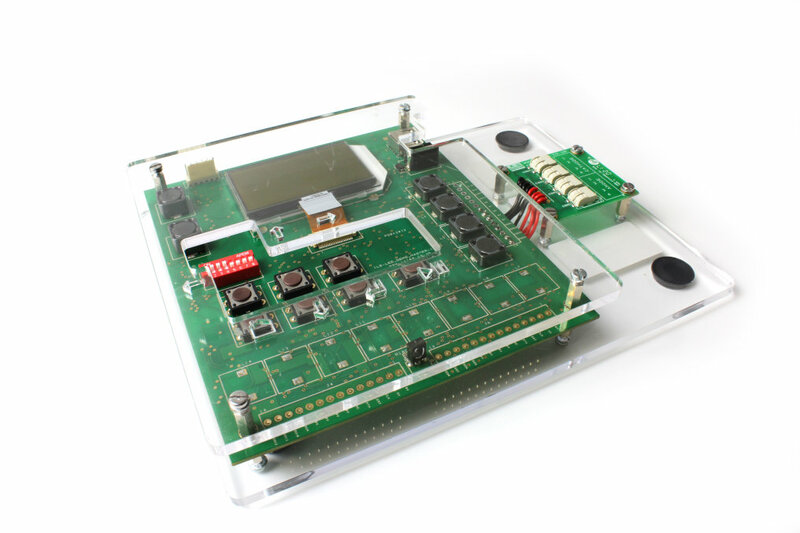 The ILK-Miniflood are development kits designed for the MiniFlood arrays. The kit is a compact design and contains everything to get your lighting design up and running. Also available are IR MiniFlood. SMARTLINK is a complete light management system, that can solve multiple controlling- and lighting requirements. HTH-Sinus Electronics GmbH is an EMS company operating in northern Germany since 1999. With close relationship to its customers, HTH accompanies the whole cycle from concept over development, production, testing and packaging of your electronics to your wishes. Light Wheel was founded in 2009 with the target to save energy with an innovation in LED Lighting. They develope LED engines, controllers, dimmers, power supplies and solar energy sources for LED Lighting Systems. It's a high efficiency surface mount LED channel light, which is about to replace linear fluorescent luminaires. We are pleased to present you our new total solutions provider AnyCasting. The company is supplying optical lenses for LED lighting applications to clients all over the world. wishes. Form now on Solarens from Bandung, Indonesia, will extend our LLFY network. The company commands competences in engineering, producing, distributing, installing and maintaining of LED lightings an renewable energies. We start off the new year right – with a new partner: Frank Elektronik GmbH from Traunstein, Germany. 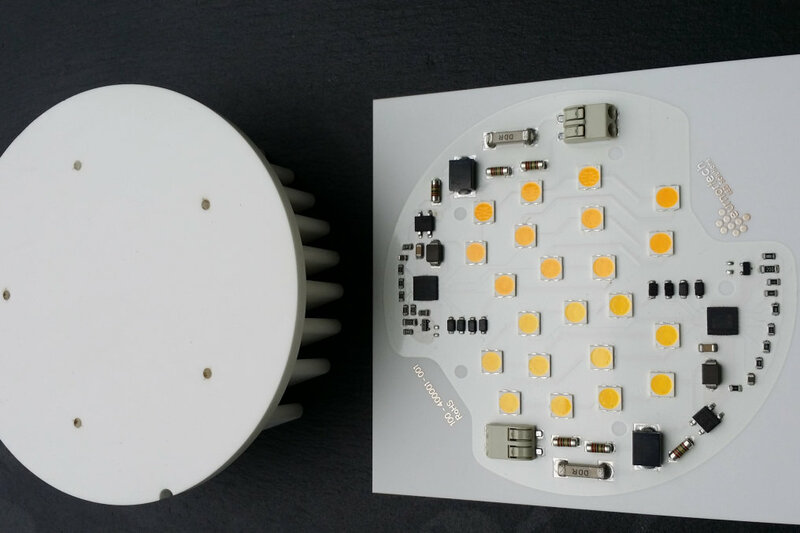 The company develops and produces high-quality LED modules, with or without integrated electronics, at lengths of up to 1.5m. Looking forward to a good cooperation, we wish Frank Elektronik a successful business year! Smart lighting set up for cloud based control – please find under following link more information. 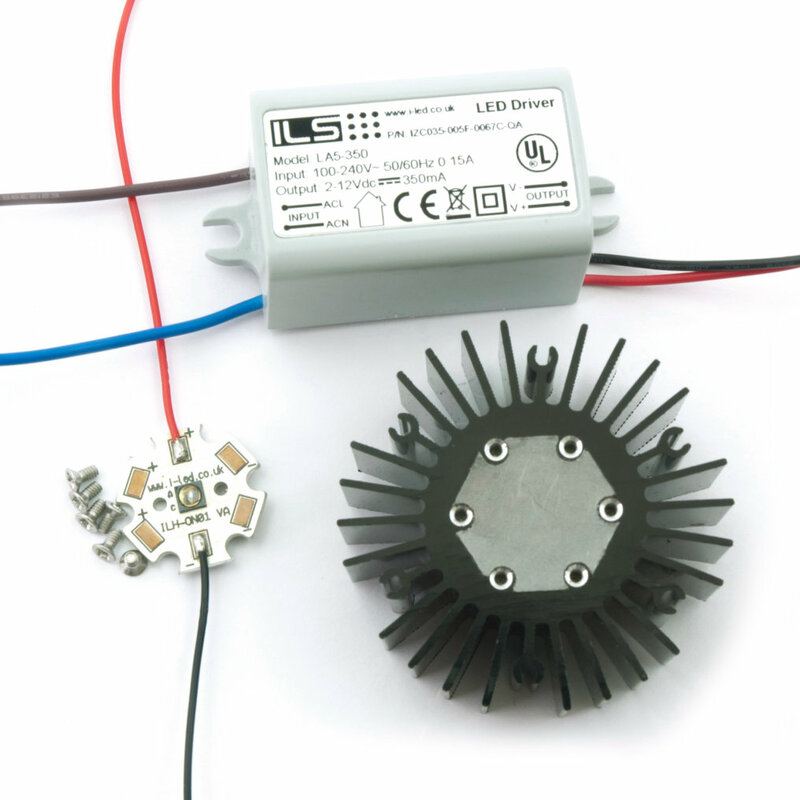 The LED module is based on OSRAM DURIS S5 mid power LEDs. MCPCB provide better heat dissipation, than standard FR-4 board. 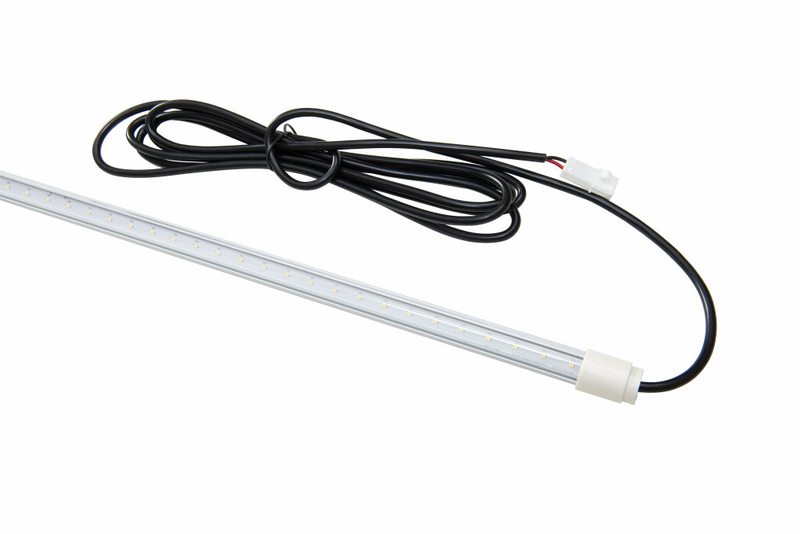 Compatibility with one of most popular LED lighting standard. Maximal supply current is 600 mA with typical voltage 41 V @ 350 mA. 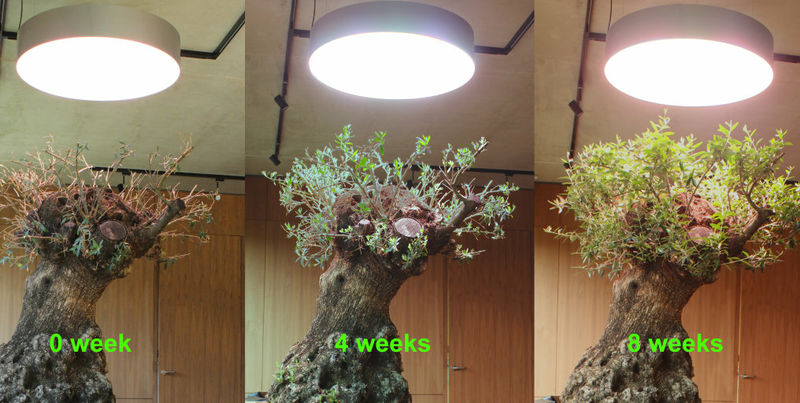 We are pleased to enhance our network with the new partner Ambra, the Italian specialist in horticultural lighting. Changshu Hyperion Technology has developed two series of LED Panel lights specifically target for European and US markets. With the LEDs supplied by Osram, these products are innovative and implement the latest LED technology available on the market. Changshu Hyperion Technology has developed LED Freezer light series target for commercial Freezer refrigerators used in food chain stores, supermarkets,and etc. By adopting Osram’s latest E3, the freezer light has very high reliability working over -40 to 60〬C ambient temperature and high efficacy. The ProxiDimmer LED driver is a small controller with proximity sensor for LED modules. Ideal for LED strips in aluminum extrision profiles and lamps. 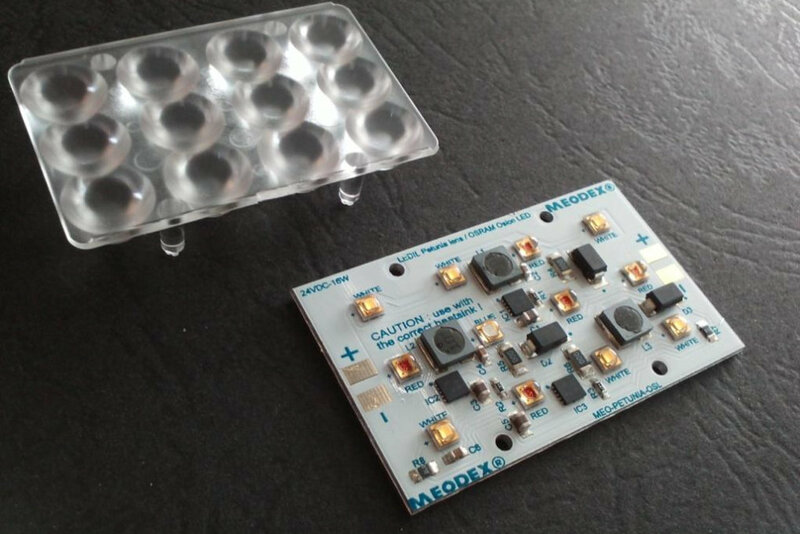 On Customer request, MEODEX develops a miniature LED Module for Ledil Petunia lens and direct 24VDC constant voltage power supply with OSRAM OSLON® SSL 80 an 90 inside. 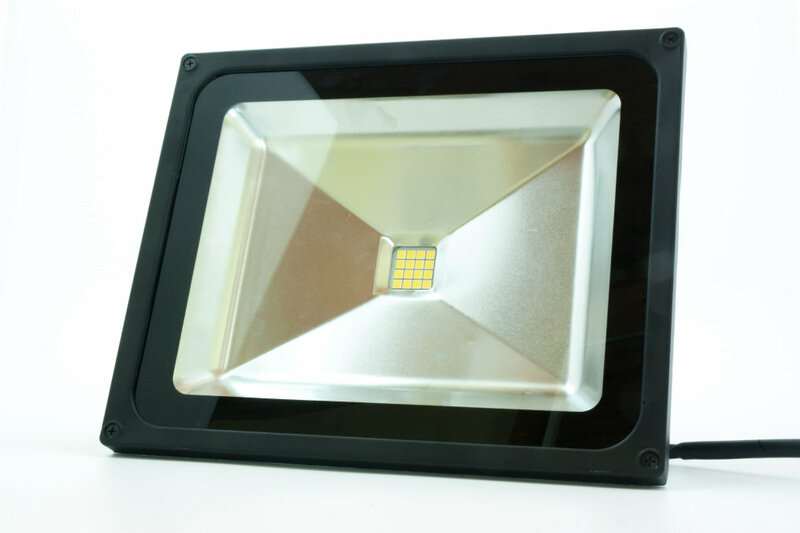 It's showtime for the new highlight from our partner CEZOS: 130 x 25,5 mm Street Light LED module. 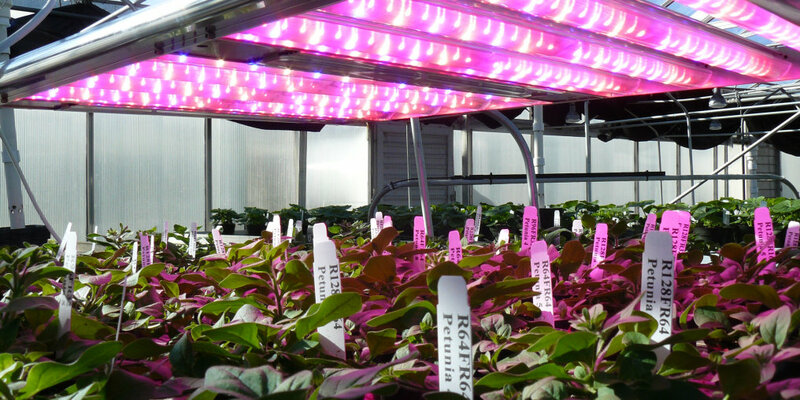 The LED module is based on OSRAM OSLON® SSL high power LEDs. It is suitable for outdoor application especially for street lamps. Its maximum supply current is 1800 mA with typical voltage 18,7 V @ 1050 mA. 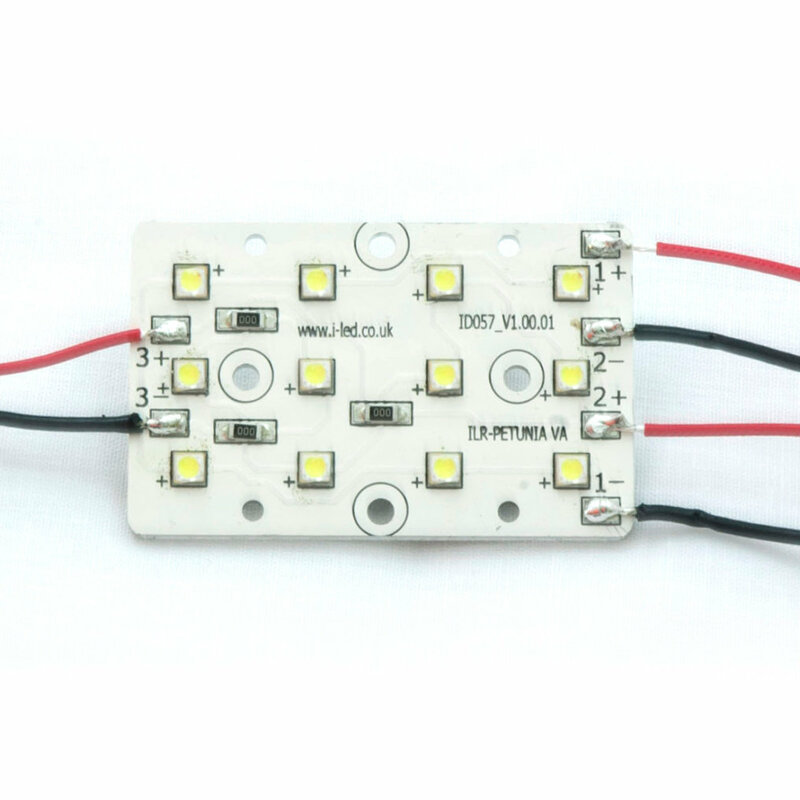 The LED module has solder pads for quick and easy installation. 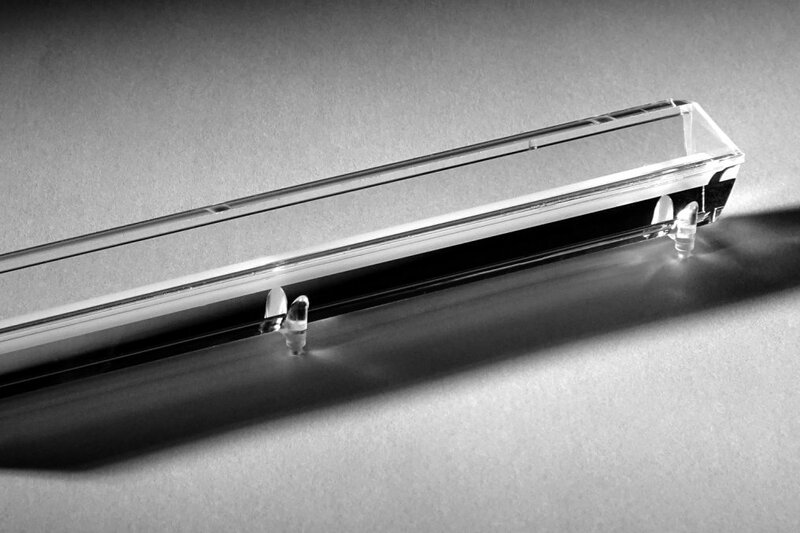 LLL15x7 is an innovative silicon based linear collimator product range. It has been designed to fit both wall washing applications and general lighting purposes. Including options for narrow or asymmetrical beam, it works perfectly with 3030 white LEDs such as OSRAM Duris S5, but will also provide great homogeneity when mixing colours with RGB LEDs. Our System Integration Partner ILS is offering standard modules for our new DURIS® S 8 and S 10 which are fully compatible to existing COBs in the market. This approach offers your more next to the price advantage, design freedom in CCT or tunable white. For more details please check the following link and request your samples directly! TÜV SÜD from Munich, Germany is a leading technical service corporation catering to the INDUSTRY, MOBILITY and CERTIFICATION Segments. Its range of services embraces consultancy, inspection, tests and expert reports as well as certification and training. 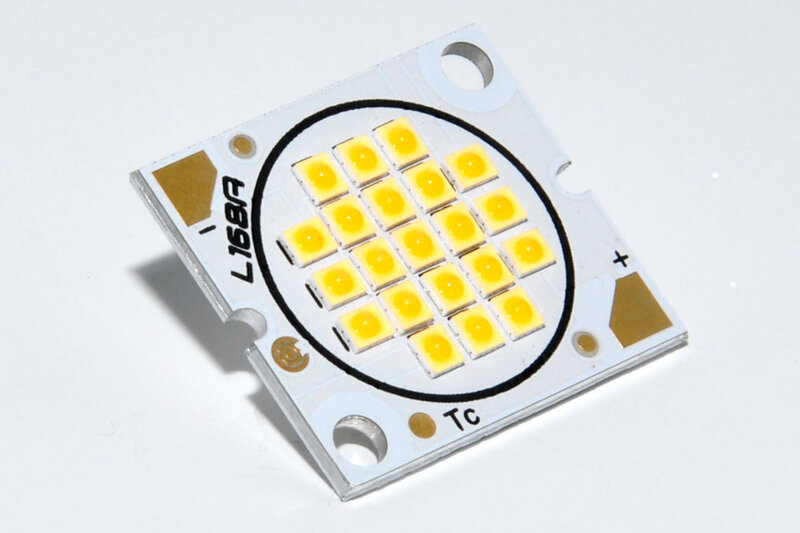 ASTRA LED, Switzerland, develops and produces high quality LED modules for customers in the lighting industry, architecture and lighting design, customized lighting technology solutions. They are able to realize customized solution for retrofits solutions, or for complex illumination requirements. DIOFLEX s.r.o., Czech Republic, is a reliable specialist in the assembly of PCBs (material FR4, aluminium) and LED components. They offer processes like wave soldering, testing and 3D AOI inspection. They manufacture integrated circuits and assemble SMD/THT components. Arrow is a global supplier of products, services and solutions for industrial and commercial users of electronic components and enterprise computing solutions. Darkoo Optics Co., Ltd, China, is an expert company for optical solutions. It carries on the exploitation, the optical lens of spherical surface and non-spherical surface processing, LED lens, stic fittings, optical mould, and accurate plastic mould. UL is a global independent safety science company offering expertise across six key strategic businesses: Commercial & Industrial, Environment, Information & Insights, Life & Health, Consumer and Workplace Health & Safety. 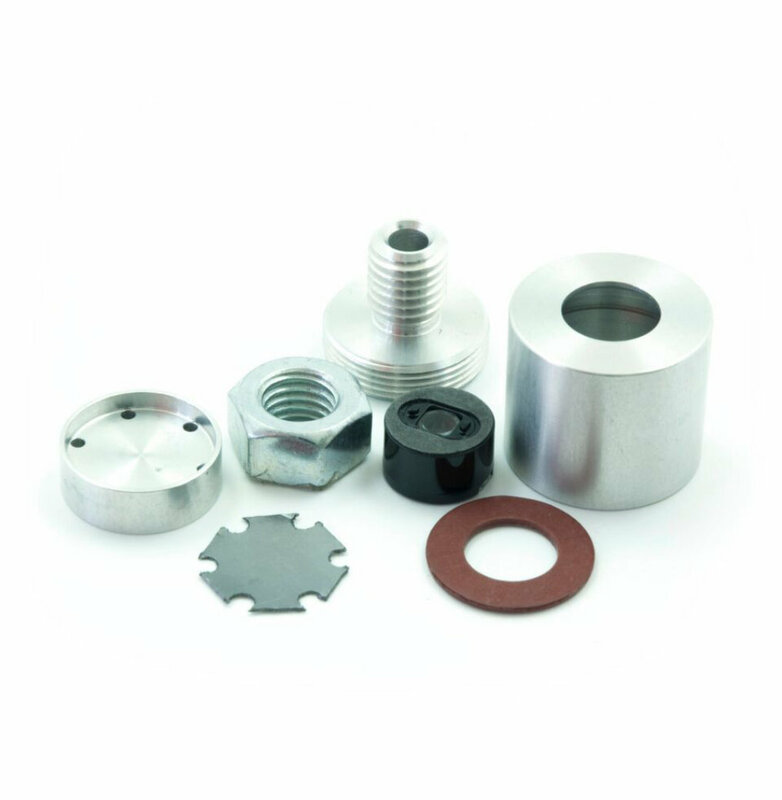 MechaTronix provides a wide variety of mechanical and electromechanical parts as well as assemblies for the international Original Equipment Manufacturers market. BENDER + WIRTH is supplying since 1899 the international lighting industry with high quality solutions for electrical and mechanical connection of light sources. 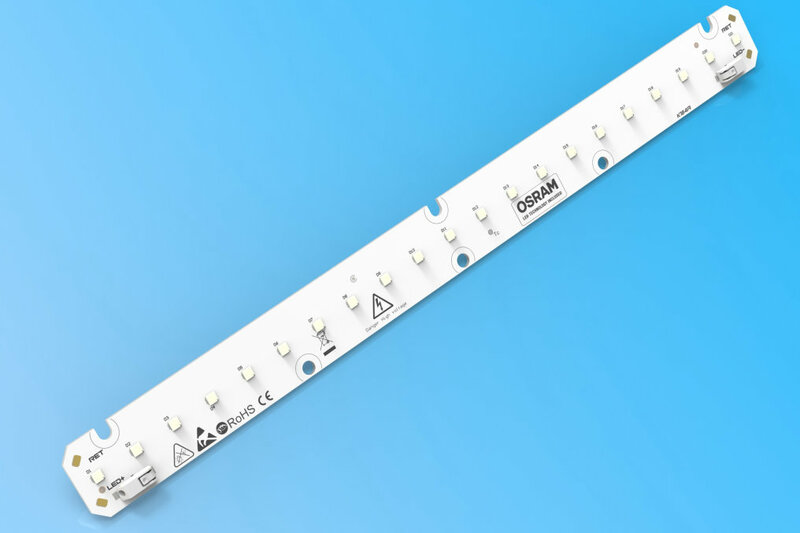 Together with the leading component manufacturers they are developing innovative solutions for LED connection systems. DEKRA Testing and Certification (Shanghai) Ltd. signed the cooperation agreement to become OSRAM’s first certified partner for testing and certification in LED Light for you team. 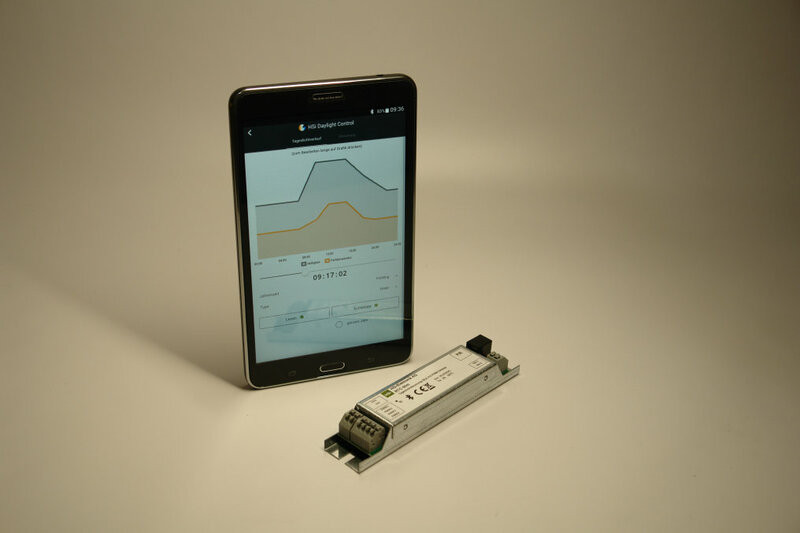 Hyperion Technology has developed a series of SSL/LED products based on its proprietary high-reliability smart power management system. 3400lm with tuneable white as an AC LED solution is provided via our partner EuRepTech. Featuring a dual-module design, with two independent lighting modules. The two separate AC power inputs allow variations in dimming and light control. Almeco is the sole manufacturer managing both treatments of aluminium coil (pre-anodisation, pvd treatment) and its deformation into reflectors (segmented, deep-drawn or spun). PR-79 XP Aluminium Heatsink is ideal for outdoor lighting. Changing the apparatus, it can be used as canopy, street lighting, tunnel lighting and projector. It can be extended to the desired size. LEDwise Lighting (Pty) Ltd was contracted to supply the LED downlight s for Hotel Verdes reception area, bar, restaurant, business centre and so on. BJB has always been the "connection to light". 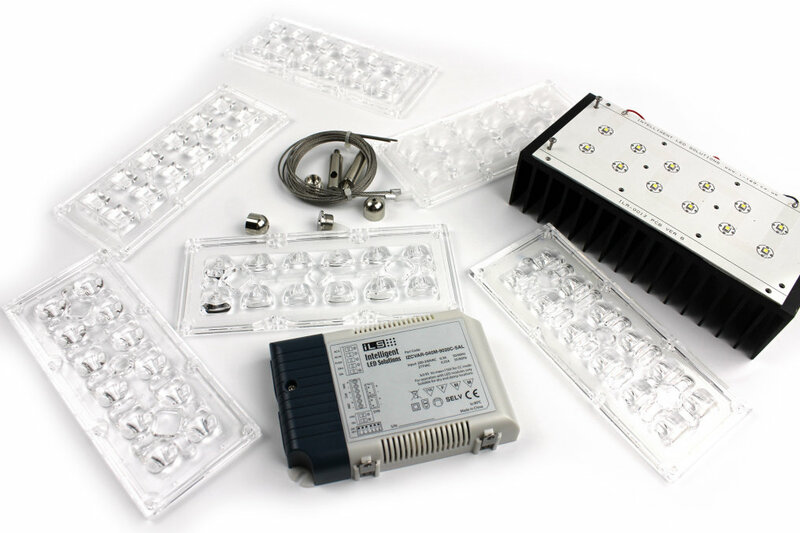 For LED light sources BJB has a vast range of components that simplify the assembly of LED luminaires. 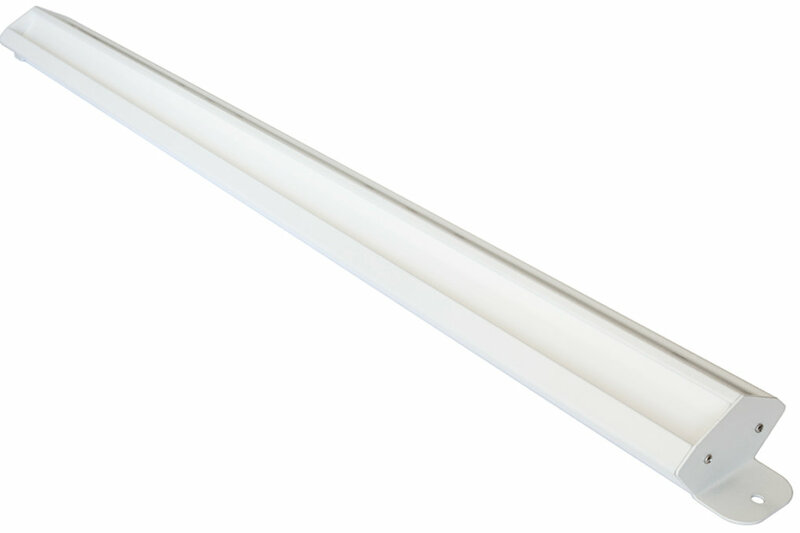 Linear curvable ingrade lighting fixture with LED source for continious unlimited runs and flexible radius adjustment. 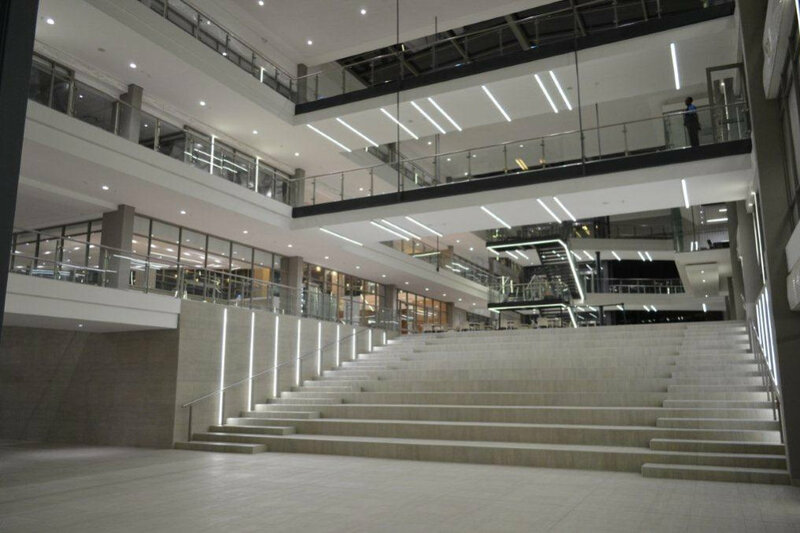 LEDwise Lighting (Pty) Ltd was contracted by Province Lighting to supply the LED downlights for new Headquarters of Group5 Construction in Johannesburg, South Africa. 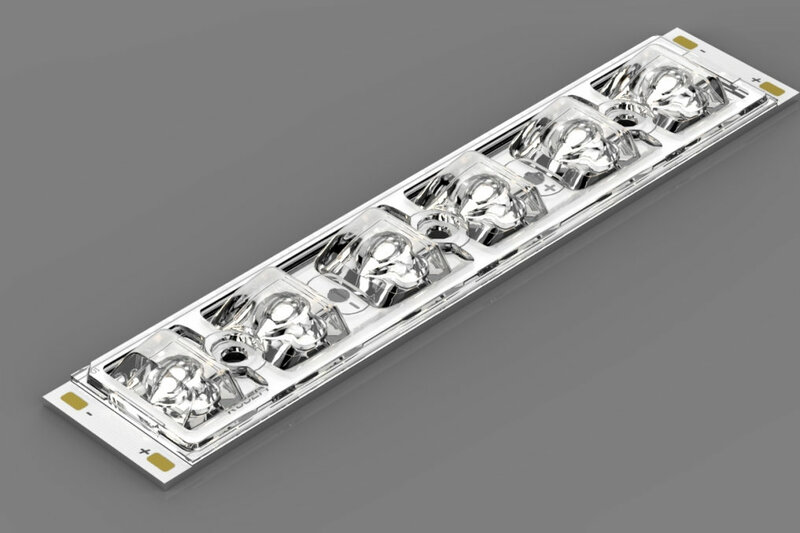 LED Lighting SA designs, manufactures and sells high quality commercial LED products. The business carries a full range of lighting products and offers services and consulting for your light design in LED applications. Welcome on board as our new network partner: LEDwise Lighting Pty Ltd.
LEDwise Lighting Pty Ltd. is an expert designer and manufacturer of LED lighting solutions for the retail, commercial and industrial market sectors – partner for applications where the lights will be utilised for 10 or more hours per day. EuRepTec is a specialist for high-power LED design. Integration of all three major disciplines like thermal management, driver design and customer specific optics helps the customer to get a unique solution with a short time to market. 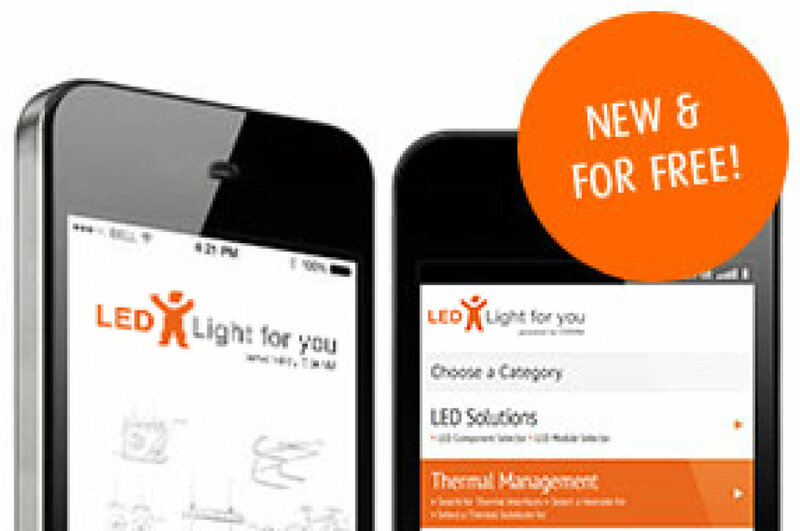 With opening of the light+building 2014 LED Light for you launches its new Product Selector App. 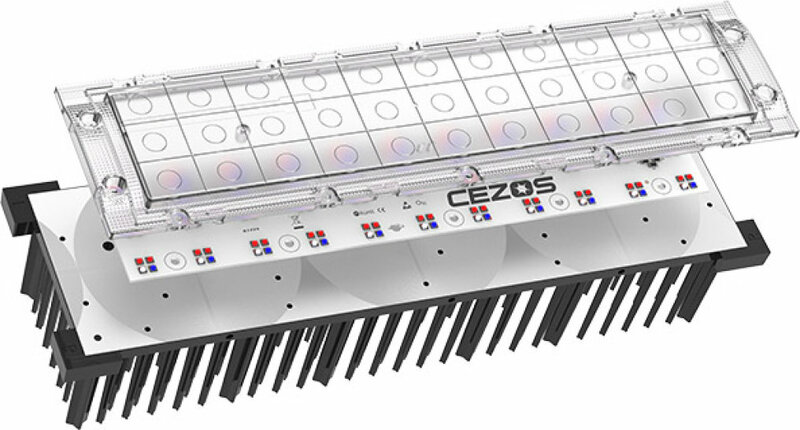 BriLED – this is the new LED module of CEZOS with a very high energy efficiency and specifically for general lighting indoor and outdoor use. 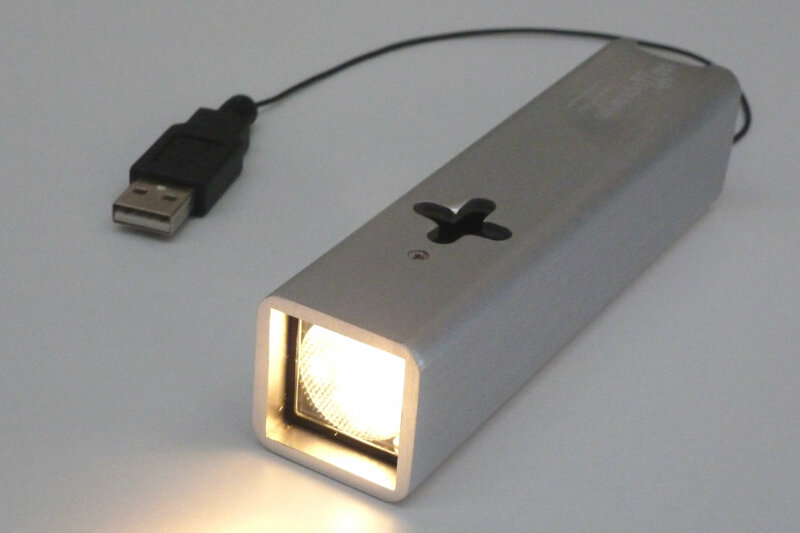 New highlight from our partner dieleuchten.com: Pocket lamp "LICHTpegel"
The new USB lamp "LICHTpegel" is an autonomous hand/wall/floor lamp for a happy home. It can be in a permanent spot but can also easily be carried around. Download now: The power supply overview from Roal. The popularity of Solid-State Lighting (SSL) is increasing because it promises high efficiency, long life and low maintenance. We are pleased to welcome our new network partner ASM SyncroTec! ASM SyncroTec GmbH develops and manufactures electronic components and LED-illuminant for house areas and special applications. ASM is supplier and subcontractor for the European lightning- and furniture-industry. In focus are complex and distinct solutions for lighting technology. Visual Search - new look, new features, new experience! Experience the new Visual Search now! With the new look we have created a much more realistic appearance of a LED component and new selection features give you more options to find the right partner for your lighting ideas. As manufacturer of LED lighting systems and LED electronics such as dimmer and lighting controls, the company develops and produces individual and innovative products which are fitted to meet customer needs and requirements. Qualilab is an independent laboratory with EN/ISO/IEC 17025 accreditation. It carries out measurements ranging from single LEDs to complete street lighting solutions. We are pleased to welcome TESI as our first System Integration Partner in Italy. TESI Electronica has an excellent expertise in lighting solutions based on LED technology and electronically control. Furthermore, they offer high reliable customized LED solutions.